The Xet Museum shows works of art by the late artist Sven Xet Erixson and is run by Botkyrka Konsthall together with the Xetsällskapet. In 2018 the museum was renovated and now has a new entrance adjacent to the Tumba library in Tumba center. Sven Xet Erixson was born in Tumba in 1899 and is regarded as one the great Swedish modern painters, and his work is represented in most Swedish art museums. Several motifs in his artistic production are inspired by his birth town Tumba. 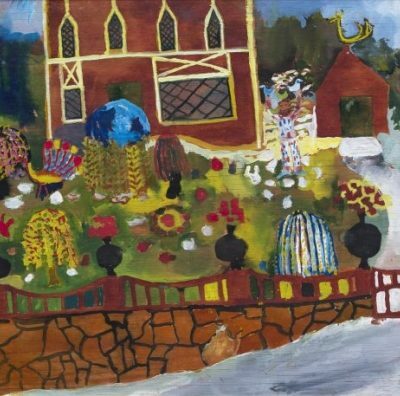 Xet came to be one of the central Swedish artists of the 20th century and in the museum his versatile artistry is shown. The collection has been created through donations from the family Erixson, Färg og Form, private persons and through strategic purchases made by Botkyrka municipality and Xetsällskapet. The Xet Museum is located within the Tumba Library. The address is Tumba torg 105. Telephone to the library is +46 (0)8-53062931.